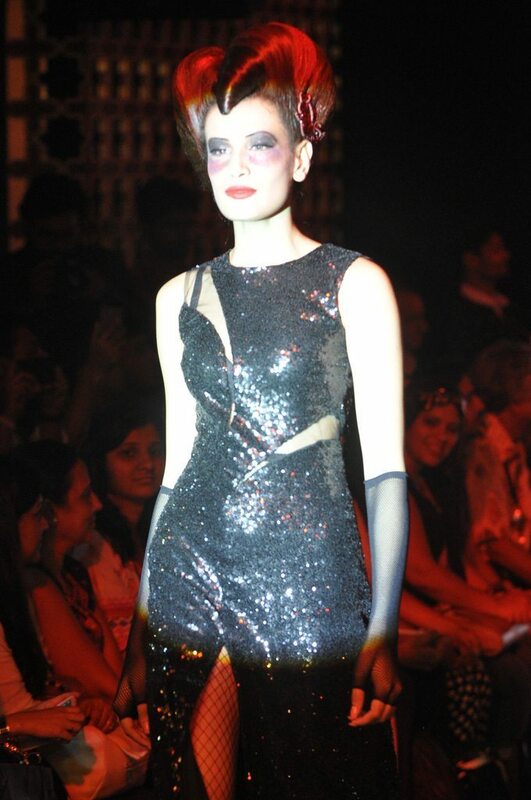 The Goddess of small things, Little Shilpa showcases Lakme Salon line on Day 4. 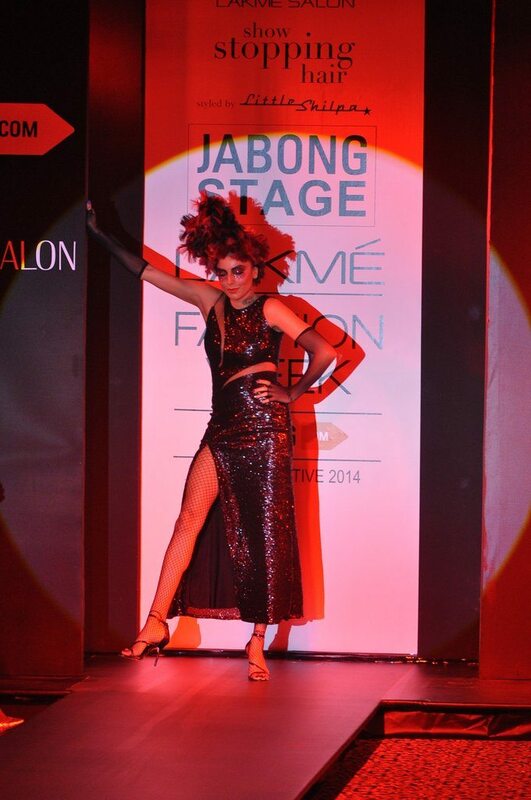 For the first in the history of the Lakme Fashion Week, the Lakme Salon has been introduced. The Lakme Salon line was styled by Little Shilpa, who showed off several hair styles in the ‘Show Stopping Hair’ collection on August 22, 2014. 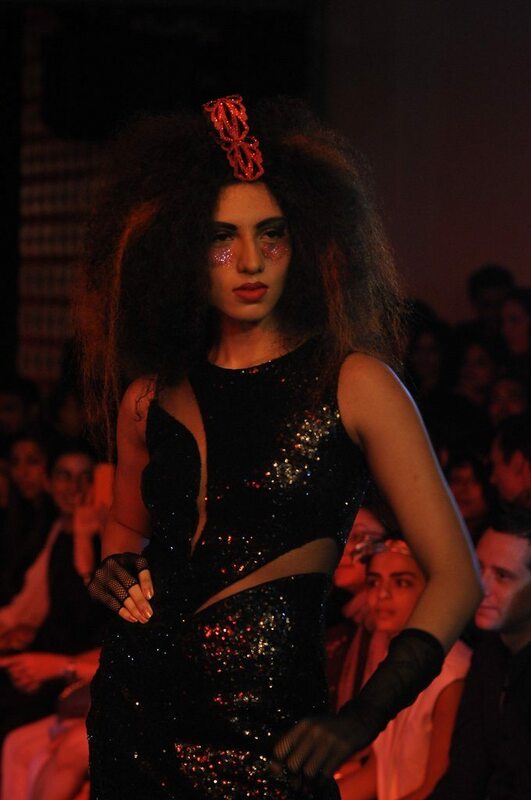 About twelve models walked the ramp with unique hairstyles and supported Lakme Salon’s belief that ‘Hair Is Fashion’. The inspiration for the hairstyles were taken from the Moulin Rouge and postmodern Paris. The first part of the show showcased the mirror images of the opposite hair lengths and textures and was known as the Metamorphosis. The latter half of the show had red crystal chains around the hair cones and coiffures and red crystal nested mohawks.